Pennsic Mumming – 130 Volunteers Needed! ≈ Comments Off on Pennsic Mumming – 130 Volunteers Needed! 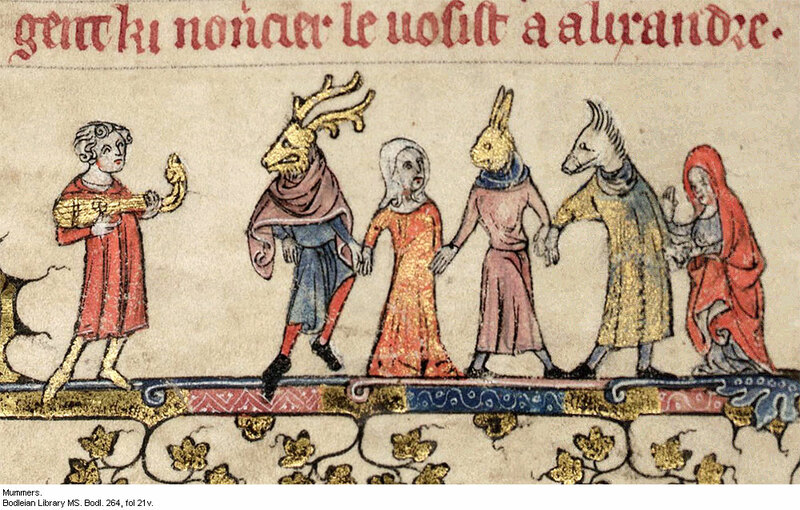 One hundred and thirty people are needed to recreate the first recorded mumming on the night of Tuesday, August 4th at Pennsic. Mistress Catrin and Master Gaius are using the temporary city of Pennsic as a stand in for Cheapside during 1377. Anyone interested in participating can sign up at this website. In 1377, a procession of masked citizens dressed as knights, squires, cardinals and devils visited the prince and give him presents. A similar procession is being arranged with a few changes for safety and available resources. For instance, no horses will be used and lanterns will stand in for wax torches. This procession will move through Pennsic. There will be musicians arranged by Mistress Sabine de Kerbriant. In addition, Mistress Judith FitzHenry is creating devil masks and Mistress Aildreda de Tamworthe is handling the logistics of signing up people. Additional information is also available at the website, including the original text.